In the heart of the city near all amenities and trade centers. Fully renovated for extra comfort. In the lobby-a warm place- one can have his breakfast next to the aquarium. 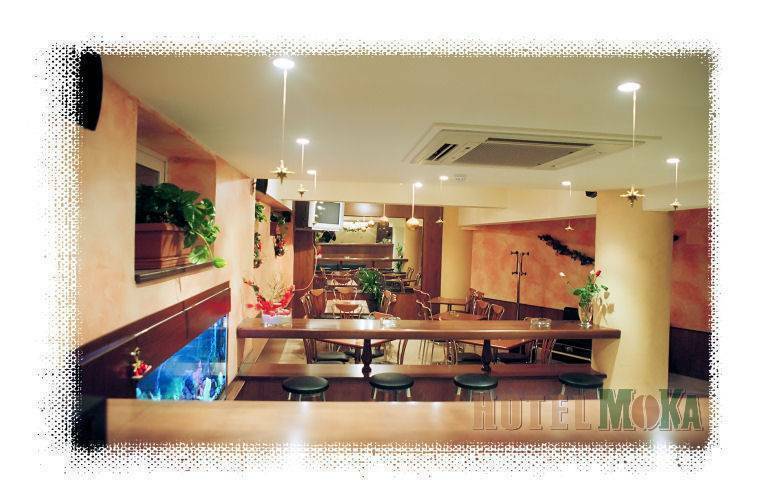 The Roof-garden is a place you can have a drink at the bar, relax watching TV or listening to music from (7:00 a. m.-24:00p. m.). You can even enjoy watching the water flow from the mini water-fall. With 18 room capacity (singles, doubles, and triples) and with our friendly staff, we are ready to satisfy the needs of the hotel's residents. 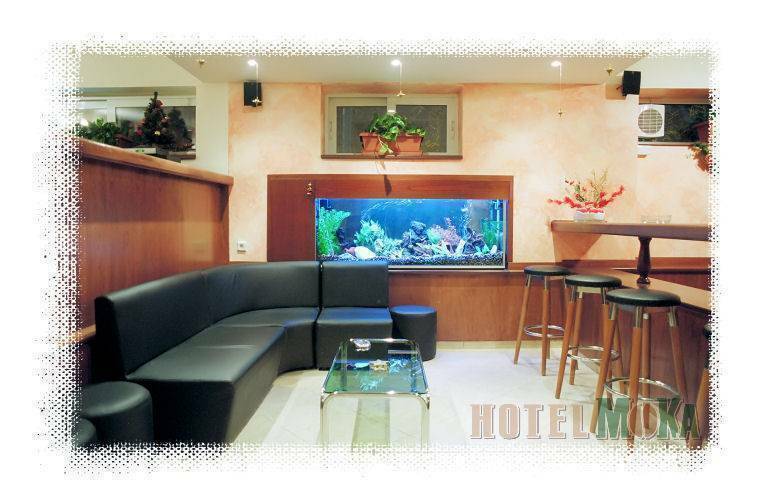 Our hotel is the ideal place for both business travelers and tourists visiting Athens. Bookings with credit cards other then Visa & Master Card will not be considered as confirmed bookings even if confirmation is obtained by Instant World Booking. Please make sure to provide the proper details of your credit card. A valid email address and telephone number is highly required. Only Visa & Master cards are accepted in this establishment. We also cater for groups for up to 40 Pax at anyone time. For more details, please feel free to contact us. Full renovation with soundproof windows to give maximum comfort. 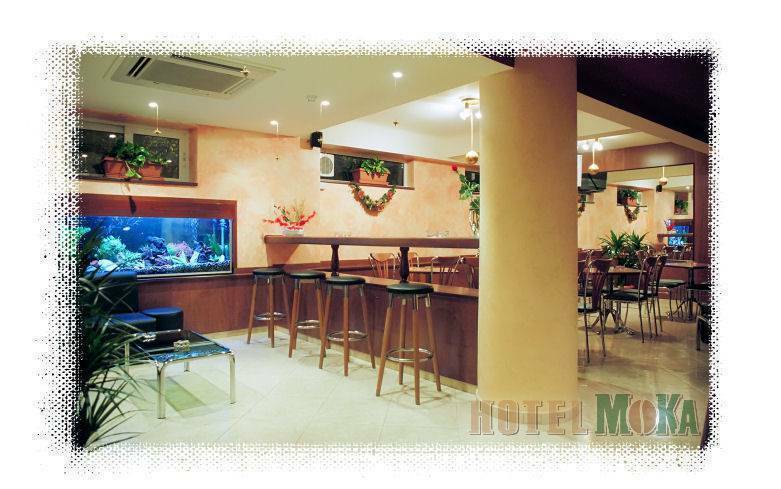 Located in the center of Athens, Hotel Moka, is in close distance of shops, markets, archaelogical sights and many more. Aksi belirtilmedikçe, rezervasyon ödemeleri iade yapılmaz. 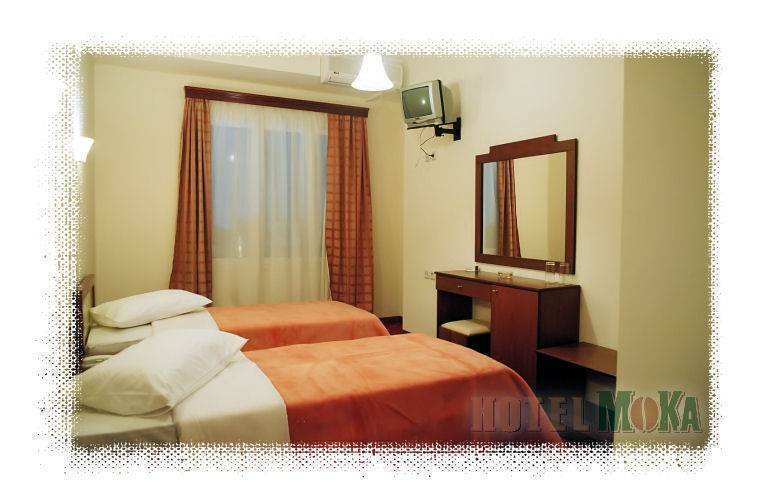 Guests must ensure that they furnish the hotel with accurate credit card particulars. In the event that the hotel fails to collect the required deposit due to such inaccuracies, then the requested accommodation will not be secured and the hotel will not be held responsible. 1 night cancellation fee applies in case of cancellation 1 day before arrival, same day of arrival or No-Show. If it is necessary for a guest to leave prior to his/her scheduled departure date, the guest will be responsible for the room/suite charge(s) for the remaining of his/her reservation. The hotel is located at Stournari St, 5 minutes walk from the Greek Archaeological museum and 8 minutes walk from Omonoia Sq. If you are coming from Omonoia Spuare find 3rd September street and walk until you meet Stournari street. It is the 6th street. Turn left and look across. Take the train from the port of Pireaus and get off at Omonoia Square. Find 3rd September street and walk until you meet Stournari street. It is the 6th street. Turn left and look across. If you are coming from the Airport take the Metro until Syntagma and then switch to the subway going to Omonoia Square. Find 3rd September street and walk until you meet Stournari street. It is the 6th street. Turn left and look across or take the bus X95 get off at Syntagma take the subway until Omonoia Square and then find 3rd September street and walk until you meet Stournari street. It is the 6th street. Turn left and look across.